Election Infiltration and Here Comes Paul Revere! Primaries and the binding of delegates, which media pundits are presently analyzing agonizingly, are not democratic necessities in elections, but may actually be harmful to the democratic process, making it uber-susceptible to manipulation. Primaries and the binding of delegates have been introduced illegitimately into RNC rules by progressives, in order to hijack the Republican Party. This quasi-militaresque infiltration of the Republican Party by liberals been ongoing for several decades now, pretty much under the radar. It resulted in the nomination of Mitt Romney, to the dismay of millions of conservative Republicans in 2012. As the new Paul Revere exposes the truth and suggests possible remedies, we must all decide whether to heed his alarm or whether to let progressives continue their take over of the Republican Party. to help their conservative contingent during the present battle. Have You Lost Your Marbles, or is this the Story of the Century? Now some will want to question the sanity of the above suggestion- that Republicans have been succumbing to grand scale election manipulation by outsiders for several decades -but give this a paragraph or two more, and see what your common sense tells you after that. Most conservatives will willingly acknowledge that liberals have slowly and clandestinely penetrated many other crucial elements of our society, from universities, to Hollywood, to the media. 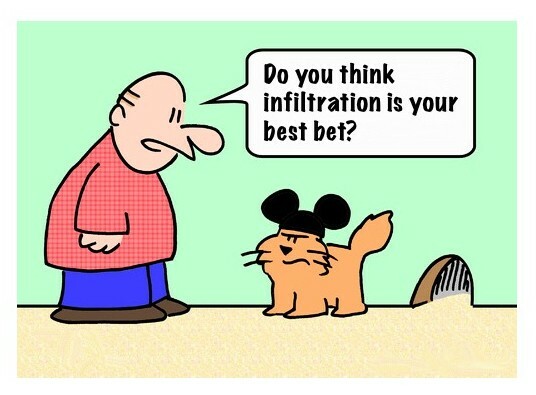 Examples of clandestine infiltration of one’s enemy can be also be seen throughout history- from the Trojan Horse stories of 11th century BC to the widespread infiltration of political movements today. Reports abound of Alinsky tactics used by today’s progressives, which include detailed instructions on the infiltration of opponents with intention to disrupt, misdirect, discredit, or otherwise neutralize conservatives. 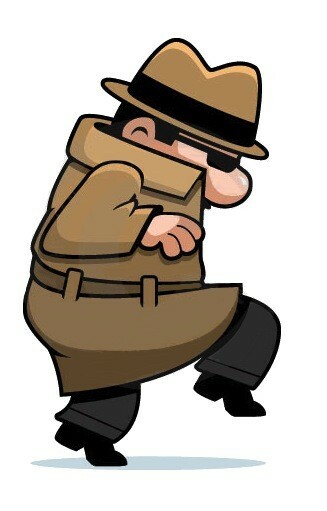 In the present political climate, with the President of the United States enforcing laws selectively, with Supreme Court Justices overriding the will of the American people on the definition of marriage and on ObamaCare, with elected Republicans abandoning conservative platform values and chumming up and selling out to the opposition, with Secretaries of State committing grossly dangerous national security email violations and a socialist candidate who is just one opponent’s FBI indictment away from becoming a major contender in the US Presidential race, is it really so unreasonable to consider whether a decades- long monumental hijacking of Republican nominations has taken place by clandestine liberals, and whether true conservatives who actually support the (still-conservative) Republican Platform are on the brink of losing the Republican Party altogether? Are You Sold? Or At Least Curious? If you are prepared to accept the possible infiltration of the Republican Party’s nomination process by progressives in recent decades, and want to hear what our modern day Paul Revere has to say about what he has unearthed and what can be done about it, read on. 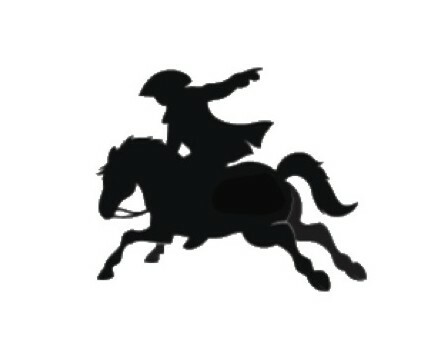 So Who Is This “Paul Revere?” and later, What is He Saying? Who is raising the alarm on the infiltration of the Republican presidential nomination process? In the presently very conflicted Republican Party, there are “Establishment” members on both sides of the conflict- conservative and progressive. Do not assume that “Establishment Republicans” are all out to nominate a progressive candidate – some of them are on the opposite team. There are two kinds of “Establishment” Republicans. Read on carefully to see how you can help the conservative ones. Hint: You do not NOT help the conservative ones by lumping them in with the progressives and dismissing them as Rush Limbaugh and Sean Hannity are on the verge of recommending! Curly Haugland is as conservative as they come– he wrote GOP Field Must Use 2016 to Force Conservative Primary Reform for Breitbart in December of 2015. This bears repeating- Use 2016 to Force Conservative Primary Reform! 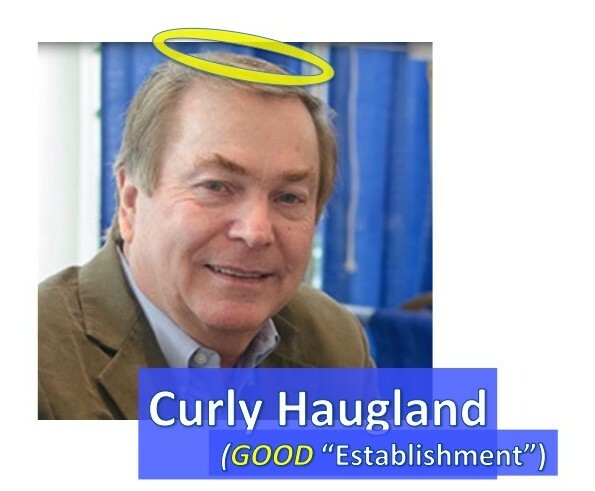 Curly Haugland is an unbound delegate, a senior GOP official. He is a national committeeman of the North Dakota Republican State Committee, from 2004 to the present. He is President of the North Dakota Policy Council, from 2006 to the present. He was on the RNC Rules Committee since 2009, and was RNC State Chairman for the North Dakota GOP from 1999-2001. He has the common “humble American can make it good” story that so many of us have and that inspires so much love for the Constitution and for the United States in all of us. So What Did Curly Say? Curly said he has found hard evidence that Republican delegates are ALL unbound, and are all free to vote their conscience at the Republican Convention in Cleveland in July. Curly announced his findings in a letter to the RNC. Not one member of the GOP, not even Chairman Reince Priebus, has contradicted Curly’s findings so far. Binding delegates to the results of presidential preference primaries first appeared in the Rules of the Republican Party in 1976. ….. And, 1976 was also the last time delegates have been bound by convention rules to cast their votes according to the results of binding primary elections………“Select, allocate and bind. 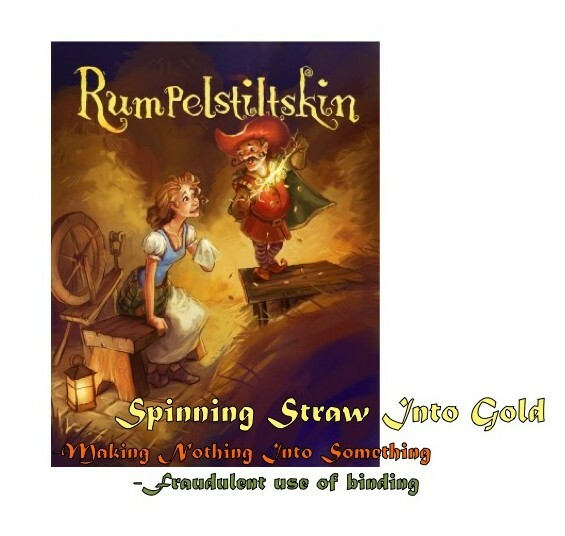 The fraudulent addition of these three words to the Rules of the Republican Party in the 2008 Convention, as detailed in Chapter One, is the political equivalent of “spinning straw into gold”. Without the use of force to bind the votes of delegates to the results of the primary process, primaries are nearly worthless “beauty contests”. So Curly has produced the hard evidence showing that the “binding” provision was added to the RNC Rules fraudulently, and that Republican delegates were only “bound” for one Republican convention in 1976. All the rest has been smoke and mirrors, with progressive infiltrators of the Republican Party trying to use “binding” to obtain control over the Republican nomination process for several decades. A corollary is something that follows unavoidably and logically from a given fact. So what follows unavoidably and logically from Curly’s fact finding that Republican delegates are not bound? What follows, is that all this talk of bound delegates, committed delegates, plurality and majority of votes, “winner take all” and most importantly, of 1237 delegates and “presumptive nominee” is just that – talk. And speculation. 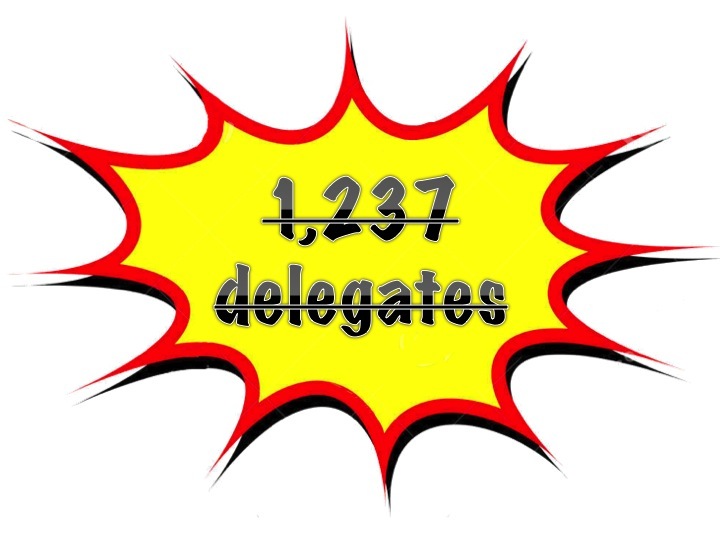 If all delegates are free, it’s impossible to know whether anybody has 1237 delegates until the first vote at he Convention has been cast. The corollary is that the Republican Party selects their nominee for President at the Convention, and not during the Primaries. 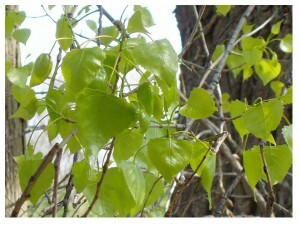 The Primaries are advisory in nature, and give the Party an opportunity to see and to consider what the public thinks. But the Primaries are not binding in any way on the Republican Party. That Sounds Like They’re Trying to Get Rid of Trump! 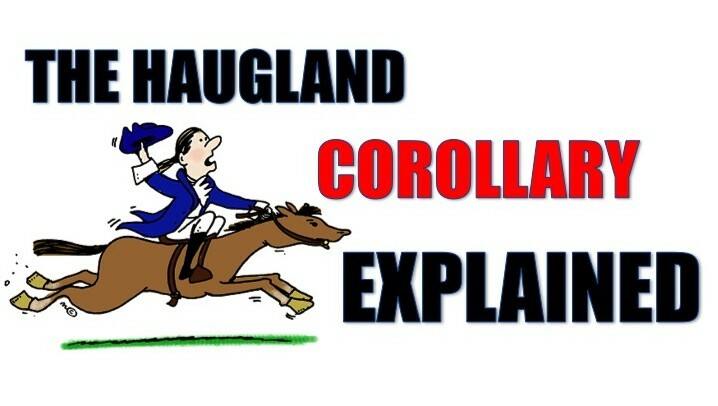 The facts that Curly Haugland has found are just historical facts and rules. Those facts may be used by many people for many purposes. Curly Haugland started his search for facts way before Donald Trump was ever thought to be a serious candidate. Curly Haugland was actually searching for information on following one’s own conservative conscience when your party is besieged by progressives. These Facts Might Make it Possible for Conservatives to Take Back the Republican Party with an “Outsider” like Ben Carson, or Carly Fiorina. These new findings, that State delegates still have the rights that our American system first gave them, the same rights that Senators and Representatives and General Election Electors have, the rights that counterbalance the primaries (which are often very skewed by voter fraud and by deep pocketed donors)- Curly’s finding that delegates are permitted to use their common sense and conscience to ensure that candidates are faithful to the Republican Party Platform, are very exciting. These findings open new doors for nominating very conservative candidates — candidates like the 65% conservative Republican candidates who first ran with Donald Trump, and who were eliminated by the primary money game, while 65% of American voters were still backing them. The conservative voters of America should not be punished for the fact that so many conservative candidates came forward. 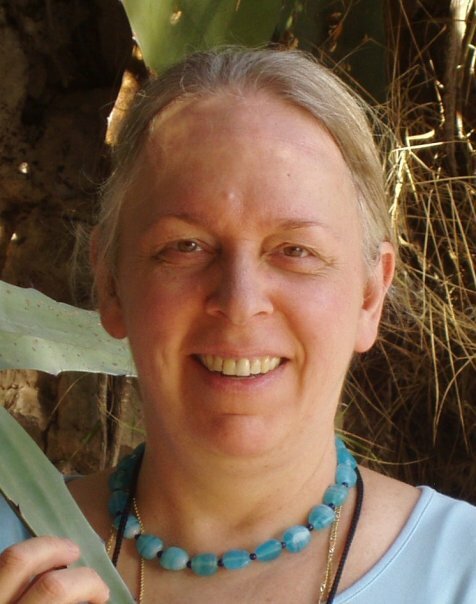 In fact, Curly, as a member of the Rules committee, will be proposing a Rule change to return more power to the Convention, where the delegates from 50 States and the territories represent the wishes of the States (as opposed to the Primaries, which often reflect the depth of the pockets of candidates). Curly is proposing the reversal of the Mitt Romney Rule change of 2012, which allowed liberal Mitt Romney to kick conservative Ron Paul out of the Convention before it even started. Curly’s new proposed rule allows any candidate who won any delegates in the State primaries to enter the Convention, so candidates with shallow pockets and no wealthy donors (like Ben Carson) are not punished at the outset. It is still premature to nominate Donald Trump, until it can be demonstrated at the Convention that he has won 51% of the Republican vote. The entire history of the United States, starting with Federal elections and continuing with political party rules, is based on arriving at a candidate who has 51% of the people behind him or her. This design is crafted very purposefully and carefully, to ensure that candidates are not punished when many people run, and to ensure that our nation is not governed by someone whom 65% of the nation does not want. When there is a legitimate 51% backing of one candidate in the nation, that candidate is nominated. But this year, with 17 candidates, the conservative vote was split between as many as 16 candidates. Just because Donald Trump got one third of the nation behind him does not mean that the conservative voters whose candidates dropped out will back Donald Trump. Donald Trump, no matter how loud he sells his case, must follow the rules. And those rules have always been that if a person does not get 51% of the vote, or 1237 delegates, that person has to run off at the convention against other candidates, to give the people a final say. And now we find out that the 1237 cannot be counted before the first ballot at the Convention. This may not even be an issue, unless Donald Trump actually gets 1237 votes– but even then, who gets to estimate the number of delegates? 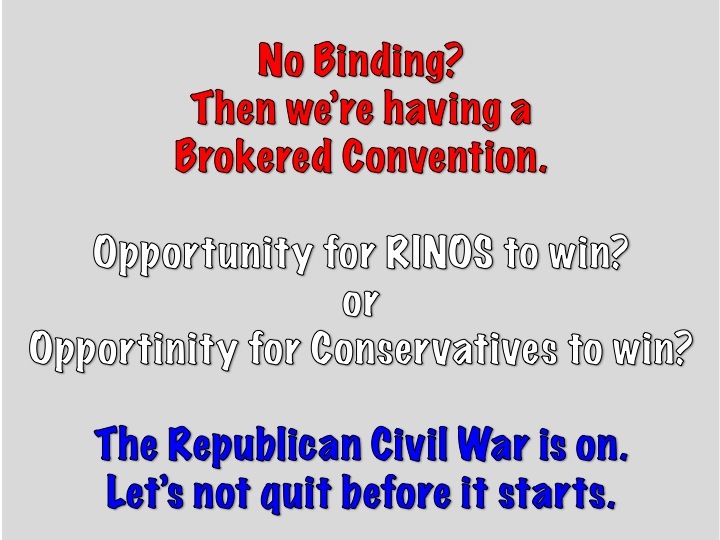 Aren’t the RINOS going to Take Advantage of the Brokered Convention? Yes, there will be some RINO progressive “establishment” types who may try to use these findings to their advantage, to re-introduce people like Jeb Bush or Marco Rubio, Mitt Romney or even Paul Ryan at a brokered convention. But there will also be CONSERVATIVE “establishment” types like Curly, people who were elected and sent by their States, people who represent voters, not the Washington Republican elites, conservatives who are just as determined to reclaim the Republican Party and to stick to it’s still-conservative platform. This battle between the progressive and conservative Republicans MUST be fought out at the Convention, and it is wrong for Donald Trump, and the media, including Rush Limbaugh and Sean Hannity, to declare that Donald Trump represents the will of the people when he does not have a majority, and thus to hand control of the Republican Party over prematurely to someone like Donald who is only partially conservative and who may not support the “social” conservative aspects of the Republican Party Platform, which represent the Judeo-Christian values that most of us Americans professes to hold. Isn’t Curly Cheating Donald Trump of a Legitimate Win? No, Curly is not cheating Donald Trump of anything. Neither Donald Trump, nor some voters, nor Rush Limbaugh, nor Sean Hannity, seem to realize that there is a big difference between a plurality and a majority, that Donald does not have the majority, he just has the plurality, and that there are whole fields of mathematics and political science which calculate the fairest way to run off competing candidates in an election. Those principles have been incorporated into our General Election Rules, into the RNC Rules, and into Roberts Rules of Order which governs the RNC. 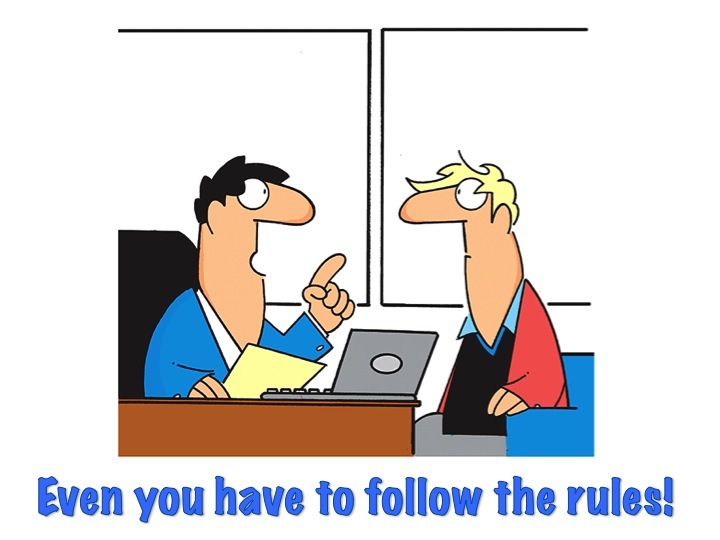 We need to continue following those rules in 2016. One alarming aspect of the 2016 Election is that some very big players have not only failed to do their homework and to understand the rules of the game, but they have also recently started discussing “riots” and “violence” if the 35% of Americans who support Donald Trump do not instantly get their way. Donald Trump, Rush Limbaugh, and Sean Hannity have referred to the “riots” that they claim will result if Donald Trump does not get the Republican nomination. 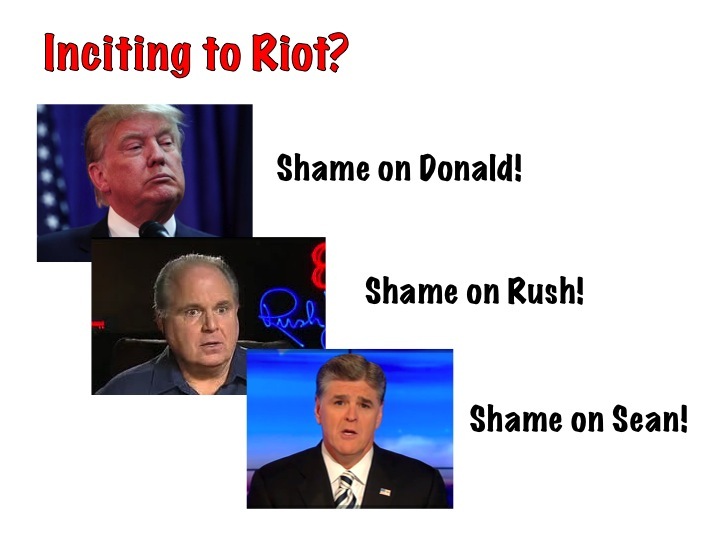 Suggestion of riots by such nationally known figures are tantamount to inciting of riots, and shame on Donald, shame on Rush, and shame on Sean for abusing their status and talking this way. Those of us who are fair-minded may be happy to vote for a President Trump in November, but we don’t like to see our conservative colleagues using the left’s Alinsky scare tactics, nor do we want to be deprived of the chance that a brokered convention could very legitimately produce a staunch conservative President like the ones produced by two other brokered conventions – Abraham Lincoln and Ronald Reagan. Aren’t Republicans Trying to Thwart the Will of the People? These developments do not mean that the Republican Party is thwarting the will of the people. In fact, they would be out of business pretty quickly if they tried to thwart the will of the people, as evidenced by the disillusionment of the electorate with the nomination of Mitt Romney in 2012. Yes, there is a civil war going on in the Republican Party between conservatives and progressive infiltrators, but progressives have won only a few battles, and many conservatives are not giving up the fight. So why should we give up the battle before it has even started? 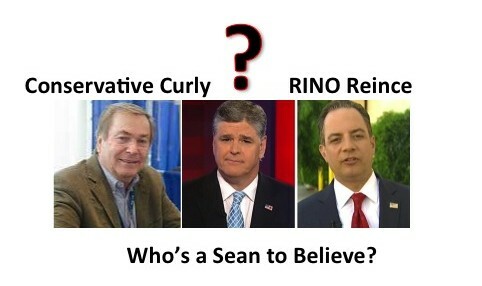 Watching Reince Priebus sweating out a stuttered answer about Curly’s claims on Sean Hannity yesterday is all we need to know, to gauge our chances of success in reclaiming conservatism through a brokered convention. Don’t let the fear-mongers push us into premature nominations! May God bless and guide America!